매해 INTO UK 의 각 대학에서는 우수한 학생들을 대상으로 100% 장학생을 선발하고 있습니다. 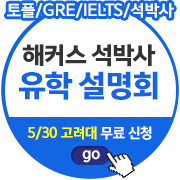 2015/2016 학년도에 가장 먼저 장학생 선발 계획을 발표한 INTO Newcastle University 의 소식을 전해 드립니다. Newcastle University는 영국 대학 Top 20 이내, Russell Group 에 속해 있고, 전세계 대학 순위 130위, 영국 대학 중 취업률 5위에 올라 있는 대학입니다. Newcastle University 는 영국 내에서 유일하게 Architecture Foundation, Diploma 그리고 Graduate Diploma 과정이 운영되고 있는 대학입니다. Architecture, Urban Planning, Biomedical Science, Marketing, Law, Education, GIS(Geographic Information Science), Navel Architecture, Offshore Engineering, Sustainable Buildings and Environments, International Financial Analysis, Art Museum and Gallery Practice, Media and Journalism, Transport Planning and Business Management, Cross-Cultural Communication 등이 우수한 분야로 인정 받고 있습니다. INTO Newcastle 에서는 Newcastle 대학과 함께 10명의 학생들에게 100%의 장학금을 제공한다고 발표를 했으며 아래와 같은 조건입니다. 자세한 사항은 첨부한 파일을 참고 하시기 바랍니다. 대상 과정: International Foundation Architecture, Biological and Biomedical Sciences, Physical Sciences, Business Management, Humanities and Social Science.